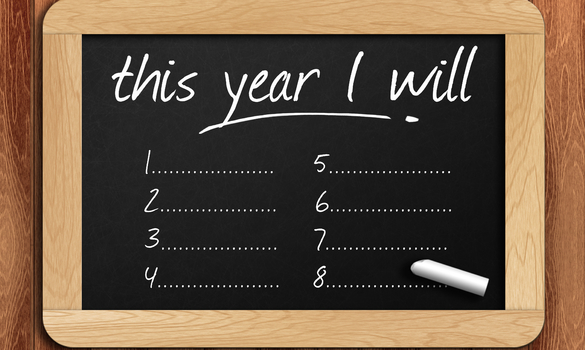 No matter how good or bad last year was for your business, you will naturally want to make this one better, and in order to do this, making new year’s resolutions for your business will keep you on the right track. Without a realistic, achievable plan like this, and a date on which to start, you might find that another year has come and gone by without you making the changes that are necessary for your future success. So just what new year’s resolutions should business owners make to ensure that their businesses grow bigger and better than ever? You will find three below. Perhaps up until now, you have gone it alone when it comes to your business. That’s certainly commendable, and if you are making a success of it, then congratulations! However, could you be doing more and being more successful if you had a mentor to help you? A business mentor is someone who is there for you to fall back on when things become difficult; you can ask them questions and know that their answers will be honest and helpful because they will more than likely have already been through what you are going through currently. If you can find a good business mentor and utilize their knowledge throughout the year, then in 12 months you can grow substantially. Something that could have held you back in the previous 12 months and that is easy to fix for the coming 12 months is your online security. If customers aren’t sure that their data will be safe with you, then they may be put off from using your services and go to a competitor instead. Use firewalls, antivirus software, and make sure that any payment details you take are protected. For example, you can contact Secure Data Recovery to discover how engaging the services of a company like this will mean you don’t have to shut down your business if you run into a problem, either large or insignificant. Doing so can save your reputation and your data. Something that many small businesses fall down on slightly is their levels of communication with their customers and internally. It’s important to look at the ways you are communicating with your customers and determine what is working and what isn’t. Your communication process can have far reaching impacts for employees and customers, alike. For example, you might be posting ten different Facebook posts every day but hardly seeing any response. It might be better, therefore, to craft a better post that is much more likely to be shared. You will gain much more business that way. Internally, communication is just as important. If your employees don’t feel that they are listened to, then they might not be as loyal and invested in their work and the company as a whole as you would like. Look at ways you can listen to them more, such as operating an open door policy, and you’ll increase productivity, employees satisfaction, and you’ll be offered new ideas that can help you grow your business too. In the new year, make it your resolution to have a growing and secure business. Find a mentor that will help you meet achievable goals. Continue to upgrade your online security so that customers can trust you. On top of that, improve your communication internally and externally. These are all great small business resolutions that will have a major impact on your bottom line this year.